Breaking up a marriage isn't cheap. 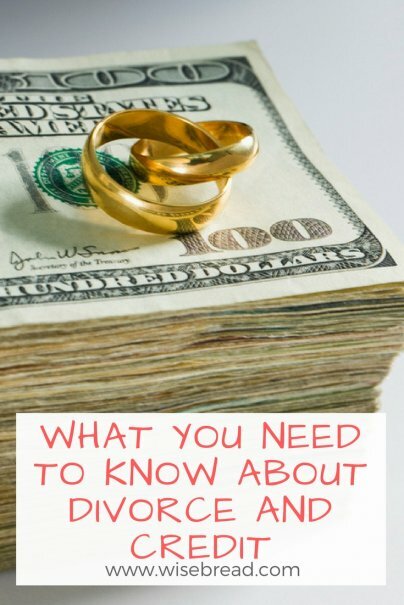 According to Bankrate, the average divorce costs $15,000, but a contentious divorce can run up to $100,000. Beyond the legal fees, former spouses also frequently must face new financial strains after ending a relationship. One spouse, for instance, might now have to rent an apartment or pay a new mortgage while also paying big dollars in child support or alimony. Divorce can be tough on your credit score, too. Just because you're divorcing doesn't mean that your former spouse can't still hurt your credit. If your ex doesn't pay a credit card bill on time, your credit score could tumble — by as much as 100 points — if that particular card is still in both of your names. Fortunately, it is possible to rebuild your credit score after a divorce causes a blow. Doing so requires the same basic financial habits that helped you build a solid score in the first place. When you divorce, you'll likely work with an attorney to divide the assets and debts that you and your spouse shared. This can be a complicated process, even for a professional. In the best case scenario, you and your ex will reach an agreement about who will pay which debts. If that doesn't work, the court may decide this for you. Once your divorce is finalized, the court will provide you with a divorce decree. This document is filled with information, including a list of who will pay what debts now that your marriage is over. Here's the problem, though: A divorce decree won't protect you should your ex not make payments on accounts that you and your former spouse jointly owned. Say you and your ex took out a credit card account together. Your divorce decree might state that your ex is responsible for paying down this debt. But if your ex stops paying on the card, and the card remains in your name, too, your credit score will take a hit. That's because your creditors still view the debt on this account as the responsibility of both your former spouse and you, no matter what your divorce decree says. Creditors don't "care" what your divorce decree says. They will only look at what's in your credit agreement. One of the best ways to repair any damage to your credit score following a divorce is to eliminate any joint accounts you shared with your spouse. They should now be in your name, or your spouse's name, only. That way, if your former spouse misses a payment, it won't hurt your credit score. Doing this can be tricky. If you and your ex have a joint credit card account, your best bet is to pay down that account off as quickly as possible and close it. Closing a credit card account can inflict a minor blow to your credit score, but in the case of a divorce, closing a joint account is usually worth the hit. If you and your former spouse share an auto loan, you might be able to refinance into a new loan that is solely under the name of you or your spouse. The same holds true for a mortgage. Refinancing, though, isn't always possible. If the new loan is to be under your former spouse's name only, your lender can only count that person's income when refinancing. If your ex's income isn't high enough to qualify for a new loan, a refinance might be rejected. There are no quick fixes for a credit score that has taken a dive. The fixes that are available take time and discipline. First, once your divorce is final, make sure to pay all your monthly bills on time. If you're a few days late on a credit card payment, don't panic. Payments aren't counted as officially late and reported to the national credit bureaus until they are 30 days past due. If you've missed your payment by a week, send it in before you hit that 30-day mark. Secondly, immediately start paying down as much of your credit card debt as you can. The lower the debt on your credit cards, the more your credit score will rise. Be careful, too, how you manage your credit cards moving forward. Never charge more than you can afford to pay off in full every month. And once cards are paid off, keep the accounts open, even if you don't plan on using the card. Keeping your credit utilization ratio low (the amount of credit you are using out of your total available balance) will also be a huge help to you. Your credit score will be higher if you are using less of your available credit — say, under 30 percent — and you can achieve this sooner by leaving your paid-off credit accounts open.